You may never have given sardines a thought. Of course you have heard of them -- they are a type of fish. But you may not know what they taste like -- or even what they eat. "Sardine" is a rather generic term, referring to more than 20 species of fish that are highly localized in warm water regions around the world. 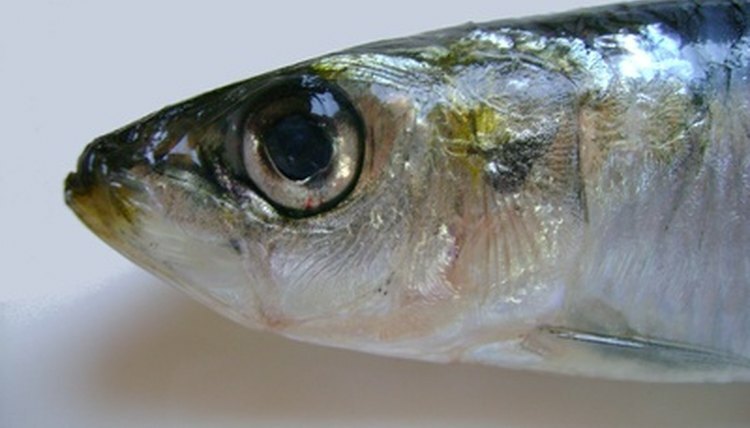 A member of the herring family, sardines (sometimes called pilchards) are usually small--seldom reaching more than a foot in length and usually less than 9 inches--(with soft bones and a silvery, iridescent appearance. They swim in large schools just below the water's surface. Claiming the honor of the first fish ever canned under Napoleon Bonaparte's reign of France, sardines are extremely healthy largely as a result of their diet. Not only are sardines rich in beneficial omega-3 fatty acids and a high source of vitamin D, but they are more pure. "Since they are at the bottom of the aquatic food chain," as experts at World's Healthiest Foods note, eating only plankton, they "do not concentrate heavy metals such as mercury," and other contaminants like more carnivorous fish do. Another factor is their life span; as the Washington Post reports, sardines live fairly short lives--six years in comparison to tuna's 10 years. This results in "less time in the ocean to absorb hazardous toxins."